AUTUMN RACING There are 24 products. Asymetrical Headband in Black felt. 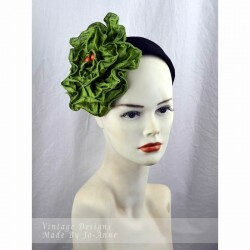 Deep Green Oversize Lyon Ribbon Flower with Orange Stamen Centres Will suit most head sizes. 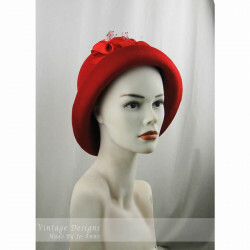 Winter red cloche with upturned brim. 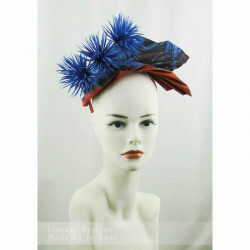 Trimmed with grosgrain sideband and ribbon rosettes. Will suit an average head size. 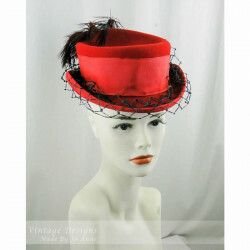 Red Felt Top Hat with Lyon Ribbon, ostrich feathers and black veiling. Wear it straight on or tilted. 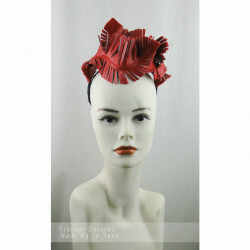 Midi styling will suit most head sizes. 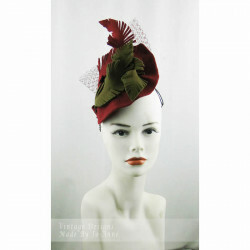 Pleated Silk Headpiece in Turquoise Floral and Rust, with Turquoise Braided Biot trim. 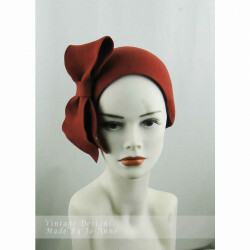 Rust and Gold flecked Sinamay covered headband and comb, will suit most head sizes. 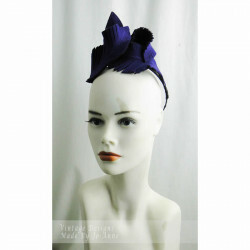 Classic Black Midi Top Hat with Plum Shirred Ribbons and Black Veiling. Midi Sizing will suit most head sizes. 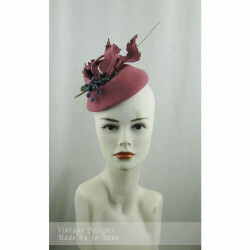 Soft dusky pink felt headpiece with leaf trim and blueberries. Wear it tilted to the right. Will suit most head sizes. 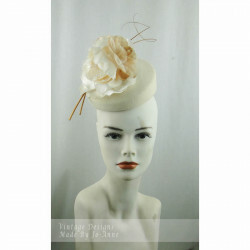 Cream Felt Headpiece with ivory, cream and beige toned hand tinted roses and gold quills. 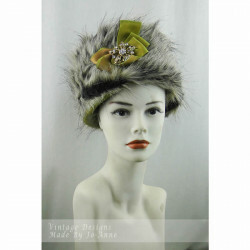 Wear it straight on or tilted, will suit most head sizes.